July 5 marked 49 years since Thomas Joseph Odhiambo “Tom” Mboya breath his last in a well-choreographed assassination move. Tom, as Kenyans were used to calling him, was a trade unionist, educationist, Pan Africanist, author, independence activist, Cabinet Minister and one of the founding fathers of the Republic of Kenya. A part from being a civil servant, Mboya was also a man of the people. On the fateful day of Saturday July5, 1969, Mboya was talking to one of his friends, Mrs Chani in her Chemist, Chani’s Chemists. Unknown to him, gunmen had been trailing and this was the best place (Government Avenue, now Moi Avenue) to commit their atrocity, a clear driveway and few witnesses. His assailants fired two bullets, which never missed their target. One got Mboya on the left upper chest while the other got the right upper chest. Mboya fell on Mrs Chaani’s hands, in desperate need of help. The assassin dashed out his parked white Mercedes Benz and disappeared in the busy street. Desperate to save his friend’s life, Chaani poured water on Mboya’s face as she waited for the ambulance to arrive. As Odhiambo Levin Opiyo narrates, Dr Rafiq Chaudry, who was a friend to the Chanis arrived minutes later and began resuscitating Mboya as crowds gathered. “Women wept when the ambulance finally arrived and took away Mboya,” writes Opiyo. There was only one senior nurse was on duty that Saturday at the Accident and Emergency (A&E) department at the Nairobi Hospital, when the ambulance arrived. “At first she didn’t realise it was Mboya, and when she finally did, she rushed around summoning doctors. A European doctor arrived and began examining Mboya. After failing to find a pulse he folded his stethoscope and walked away,” adds Opiyo. Tom Mboya the great was dead. The life of one of the greatest minds in the country had been cut short. The then minister of economic planning and development was no more. News of the assassination spread across the country. As earlier stated, he was a man of the people with fanatical following across the country. His followers did not take the news lying down as hundreds of his supporters stormed the hospital, broke windows and forced their way into the A&E department. Mboya’s remains were later transported to City Mortuary where a post mortem was carried out by Dr Rogoff at 4.30 pm. According to the doctor’s report, the bullet in his left chest penetrated his body and was deflected by the first rib in a downwards direction, passed through a small area of lung tissue in front of the aorta, then tore an irregular hole in the arch of the aorta. It then passed through the lung and back wall of the chest where it got lodged under the skin. The second bullet, in his right chest, went through the muscles above the right collarbone and shattered the bones of the right shoulder. No serious damage to internal organs was caused by this bullet. It was found behind the shoulder blade and carefully retrieved. “The immediate effect of the first bullet wound was profound loss of blood into the chest cavity causing collapse of the lung, displacement of the organs of the chest to the right and acute cardiac embarrassment,” says Opiyo. Mboya died of acute hemorrhage caused by the first bullet. The two bullets were all marked, “Gaco 38 special” mostly used for target practice. Four months later, the police announced that Nahashon Isaac Njenga Njoroge, the man convicted of shooting Mboya, had been hanged secretly. 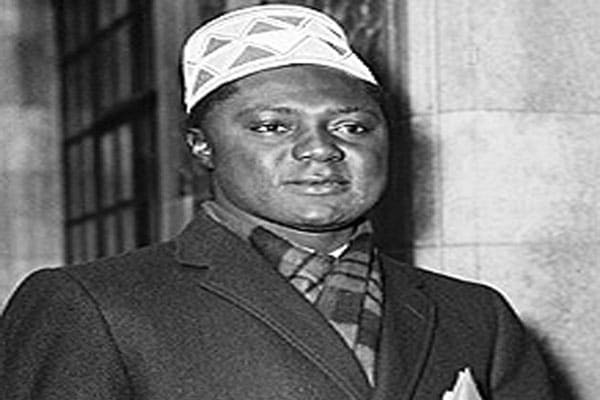 So far, he is the only officially known Tom Mboya shooter, even as the story of why Mboya had to die remaining just a theory told in rumour and innuendo. Next article World Cup Tidbits: Did You Know Before 1978 Only Those Who Played Actual Final Received Winners’ Medals? World Cup Tidbits: Did You Know Before 1978 Only Those Who Played Actual Final Received Winners’ Medals?